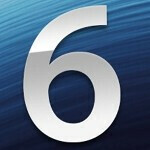 Apple is sending out iOS 6.0.2 to update its mobile devices currently running iOS 6.0.1. The latest build of the tech giant's mobile OS will help kill some bugs dead, including a nasty little bugger that has affected Wi-Fi connectivity on the Apple iPhone 5, and the Apple iPad mini. But unlike most iOS updates, which go down as smooth as a fine wine, the iOS 6.0.2 update is being choked on like Cod liver oil. And the problem, which seems to be with Apple's servers, is taking place on a wide range of Apple devices including the Apple iPhone 5, Apple iPhone 4S, 4th generation Apple iPad and the Apple iPad mini which means it is not related to one particular device. 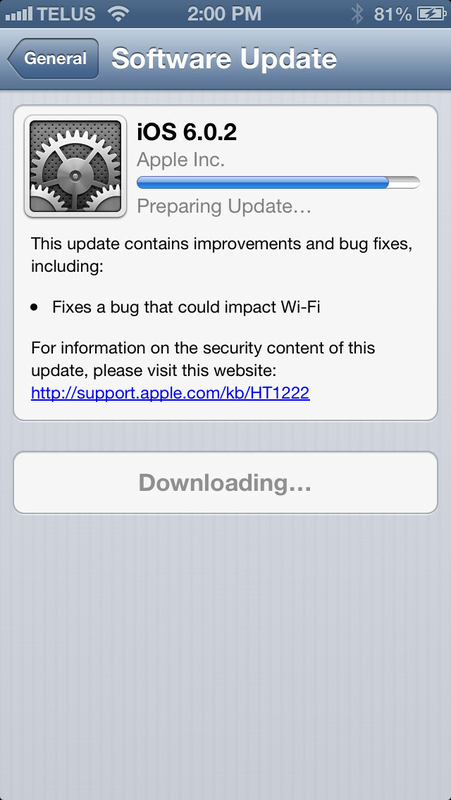 If you're having a problem with the OTA process, you can go old-school and plug into iTunes to grab iOS 6.0.2. We should, for the sake of journalistic balance, tell you that not everyone is having a problem with the update via OTA. How is it going for you? 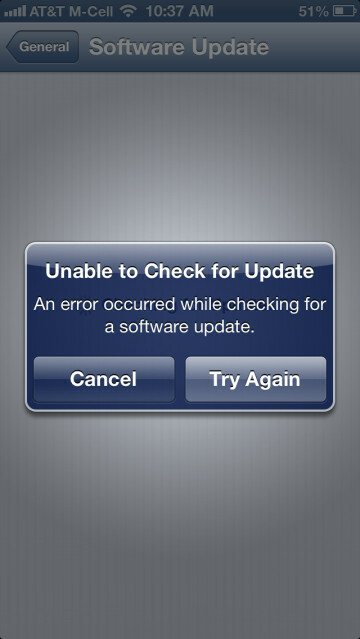 Regardless if you've had a problem installing iOS 6.0.2, or it was a snap for you to update your Apple device, let us know by dropping us a comment below. Apple messing up AGAIN...why am i not surprised? almost like having to replace my SIM card before my GS3 would recognize that there was new software available. chill w/the thoughtless comments. issues happen all across the board. sheesh byt he size of your comment and your going out of the way just to prove your point...i think you're the one buddy who neeeds a chill pill man! and yeah one more thing why did you have to take tghe example of a GS3 only :) anyways calling my comments thoughtless isnt cool bro...especially if you're an apple fanboy...we all think and are entitled to our opinions...so thoughtless is akin to name calling and you dont wanna go down that road on PA...trust me! so unless you've a valid point or just a genuine opinion which I respect...dont bother to troll on my commetns! Knowing Apple, they'll soon send out 6.0.2.1 with the advertisement: "With a new and improved update, you can now update your update to update! This changes everything again!" I created an account just to thumbs up this comment! Isn't it funny your username is Insignificant and your comment was...well I think you get what I'm saying. I am insignificant! What about the comment? The update is only for the iPad mini and the iPhone 5.
go to support.apple.com/kb/DL1621 ... pay attention to the right-hand side, under "system requirements." Download first time via Settings and install ok for me. I used to enjoy getting updates when I had an Android, there were IMPROVEMENTS and fun stuff. iOS updates are bug fixes and boring s**t.
Grrrrrrr....this update does NOT fix the problem of not being able to send images through SMS! Get a GS III. I can send photos by SMS message all the time. yeah, its great that pictures on my gs3 come as videos multi media messages. So can I on my ip5, and I can even edit the vids and preview what I edited it to before I send it. I wish samsung would push these updates so quickly. Too many bugs after jellybean. People bash apple for these updates, but hey, at least ios receives updates. What matters to you? Getting these updates or features which are far better than included in iOS. I would choose Custom gingerbread/ICS or Stock Jellybean over iOS 6. "far better" isn't factual buddy...its opinion-based so asking a person a question then answering that question w/a response about something you prefer was kind of pointless. Irony buddy. You didn't back it by fact either. Fact and points, you have it. Now give me your PoV, and I hope you reply to this one, with fact. Except for smoothness (my 2.3 custom ROM was smooth enough for me), give me one thing that iOS does as an OS and ecosystem. iOS 6 features reject and sms, I had it on my desire 2.3, MIUI Rom. I didn't even notice it. And it looked similar to what it looks in iOS 6. Maps? You tell. Extra row of icons? Nah. An advanced notification center for iOS 6? Nah. I had swipe to remove individual notification in 2.3. Toggles? Slider for brightness or volume? Customizable Homescreens? Resizeable icons? (i think iOS hides the wallpaper and its beauty with its icons). I could have that shiny bulky icons on my droid, in fact I did, chose not to continue. just dl'd & installed as i was reading this article. seems like my chips fell on the "it worked fine" side of things.